Blog Cloud Services UTS partnered with Macquarie Cloud Services to Change the Way Technology Is Embraced. UTS saw the shifts happening in the education sector with regard to the disruptive threats presented by Massive Open Online Courses (MOOCs). In the past, universities have been constrained by proximity and productivity. Students need to attend lectures in person to learn, which meant that adding additional students required more buildings and instructors. Universities were also limited by the number of students a lecturer could teach a semester. MOOCs make the cost of adding additional students virtually free. The initial start-up costs can be higher due to the need to create a curriculum, produce lecture content and materials. But the ongoing costs are much lower and any additional students are almost pure profit. Universities are built on tradition, but with the introduction of MOOCs, educational systems are being scrutinized. MOOCs are creating shifts in the way students and instructors view education. Although the cost to produce MOOCs is lower, the quality of education does not necessarily suffer. Studies have found that students who completed a MOOC were more likely to perform well than compared to peers learning in a face-to-face environment. 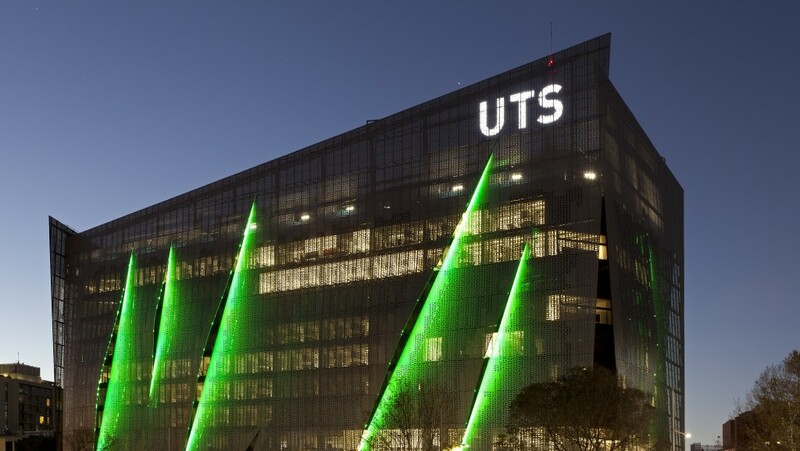 UTS decided to place IT at the core of a plan to build a truly modern university. UTS wanted to provide students and professors with adaptable high-tech services to support an integrated learning experience while reducing the cost of ageing software and legacy programs to capitalise on every learning opportunity. By opting for a joint approach with Macquarie Cloud Services that utilises a co-located data center, UTS is able to quickly adapt to changing circumstances to meet the demand of professors, students, and researchers with ease. Indeed, UTS acknowledges that the technology upgrade and co-location strategy is an important step forward. With a bold vision to be a world-leading university, UTS hopes its strategy will be a blueprint for other universities and educational institutions to foster better, faster, cheaper, and more sustainable IT solutions to support a changing world and the increasing technology demands in the educational arena. UTS Technology Services Manager, Steve McEwan, said, “What we have done through our partnership with Macquarie Cloud Services is focus on achieving economies of scale; in the long term saving us millions of dollars without having to invest in building our own facilities or managing them.” UTS now spends less time on commoditised facilities management and hardware maintenance, which allows for smaller, more nimble systems and solutions to be deployed more quickly and have more resilience. UTS can now quickly deliver and scale services through Macquarie Cloud Services by adopting cloud strategies while reallocating budget savings to other core university needs. The partnership with Macquarie Cloud Services to help manage UTS’s infrastructure has allowed UTS to spend more time focusing on strategic long-term goals for university growth, and less time on implementing or maintaining a new facility to meet the technology needs of UTS. The technological support by Macquarie Cloud Services has allowed UTS to focus on what it does best: educate. McEwan added, “…Macquarie Cloud Services now feels like part of the UTS family, which makes the management process much easier.” The perfect partnership between UTS and Macquarie Cloud Services means they can grow together. You can download the full UTS case study by clicking here. Macquarie Cloud Services helps businesses connect on-premise hosting solutions to managed dedicated servers and business class cloud. We provide a simple, turnkey solution for your hybrid hosting needs. Our dynamic hosting platform offers the flexibility you need to build a hybrid environment that meets your organisation’s unique requirements. If you’re interested in learning more about how hybrid hosting can help your business grow, get a free hybrid hosting readiness assessment here.